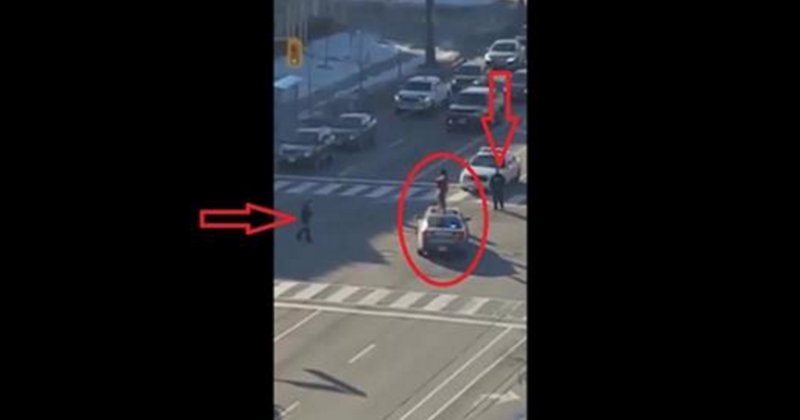 For whatever reason, a woman decides to jump on top of police cars in Jane and Finch, Toronto (Canada) and smash their windshields. Toronto Police are eventually able to subdue and arrest her. Crazy!